Today we lost not only a great man; we also lost one of the world’s greatest leaders. 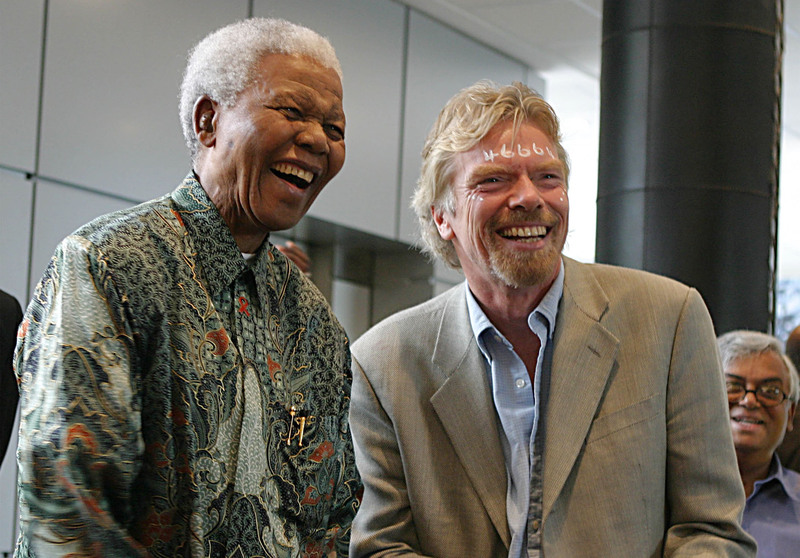 Everyone will have been impacted by Nelson Mandela in their own way – these are my personal reflections on the time I was fortunate enough to spend with him. Nelson Mandela redefined leadership. He showed that great things can be achieved by leading through wisdom, empathy and integrity, with no other agenda than humanity. He taught the world about the power of forgiveness and the importance of treating everyone equally. His strength was in his compassion, moral courage and a wonderful ability to bring light into any situation. 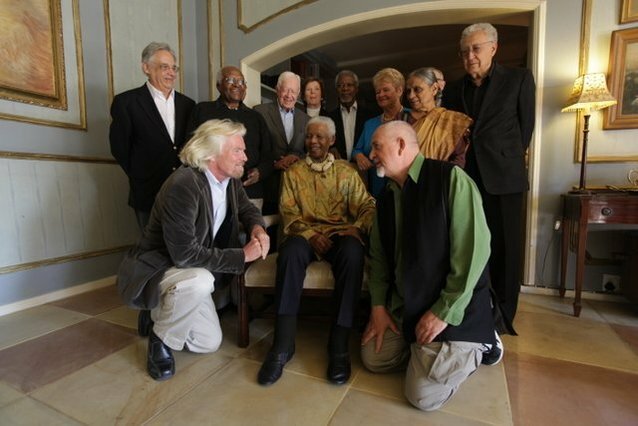 I was fortunate to see the human side of Madiba and his joyous, infectious character. He would start dancing spontaneously with people wherever he went, making them smile, laugh and feel completely at home. 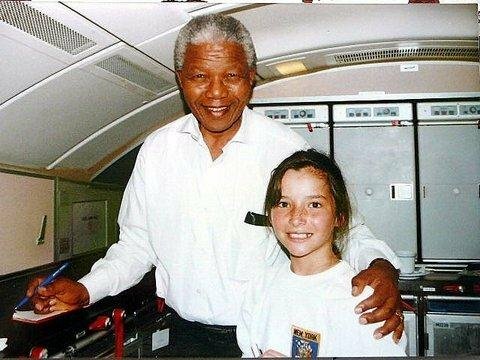 A young friend, Peta-Lynn, found Madiba in the galley on a Virgin plane to New York a while back. He offered to make her a cup of tea. What an extraordinary man. Years ago he invited me to South Africa for the unveiling of Steve Biko’s statue. I invited Peter Gabriel, who wrote the wonderful song Biko about the anti-apartheid activist. We sat onstage with South African leaders including Mandela and Chief Mangosuthu Buthelezi, as well as Biko's family. Mandela obviously had differences with the opposition parties. He got up onstage and asked the 100,000-strong crowd: “Should we not all be uniting as one party for the good of all?” He did it with a smile; it was incredibly inspiring seeing thousands of faces cheering him on. After his speech, Peter Gabriel performed Biko a capella and the whole crowd sang every word. He said: "I have been living with the words (of the song) for a long time. It is a sense of completion to be here." You could see tears in Madiba’s eyes - it was one of the most emotive moments of all of our lives. Back home in England I was in the bath when Madiba phoned, urging me to fly straight back to South Africa because their principal health club chain needed rescuing and thousands of jobs would be lost. Obviously if Madiba calls, you jump! He was always trying to do what was right for his people. Fortunately we rescued the health club chain and now enjoy the great privilege of having thousands of wonderful South Africans as part of the Virgin Active family. There was no such thing as a free lunch with Madiba - he always extracted something for people less fortunate than himself. One lunchtime he brought his family to our home. Madiba didn’t ask for anything over lunch - I thought I’d got away with it. As he was leaving he said, with a glint in his eye: “By the way, yesterday I had lunch with Bill Gates, who gave $50 million to our foundation…” I gulped, knowing what was coming next, but was of course happy to help. One of Nelson Mandela’s greatest sadnesses was that the leaders in South Africa allowed hundreds of thousands of people to be killed unnecessarily through HIV/AIDS. He was particularly angry when leaders were discouraging the use and supply of anti-retroviral medicines. We convened a meeting of musicians at my home, including Peter Gabriel and Dave Stewart, and it was decided to support Mandela’s effort to get the message out about AIDS by working with the Nelson Mandela Foundation to throw a massive concert in Cape Town. The concert was named after the prison number that Nelson Mandela was given on Robin Island – 46664. The concert was a spectacular success. Archbishop Desmond Tutu played a big role in Madiba’s life, and it was always a joy seeing them together laughing and sharing their wisdom. He set up the Truth and Reconciliation Commission, which is a wonderful example to other countries and to all of us. It forgave people who had done such terrible things and got those who had committed atrocities to apologise to their victims. Arch oversaw that with tremendous grace, love and passion. The act of forgiveness that Madiba gave his own captors who held him in prison for 27 years will always be remembered. How extraordinary to go from a tiny jail cell overlooking the big Presidential house in Cape Town, to living in it as an inspirational President. 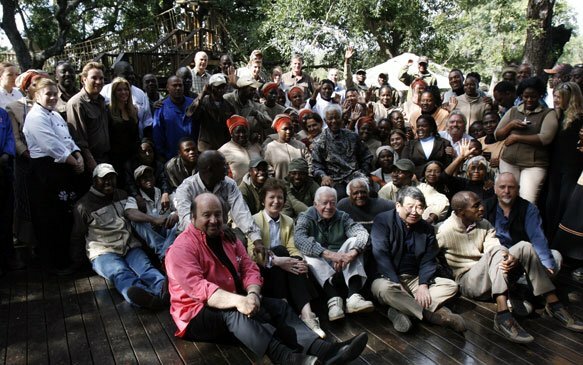 When Peter Gabriel and I started The Elders we had the great privilege of working with Madiba and his lovely wife Graça Machel to shape the idea and help them select the initial Elders. As he joined the first Elders meeting as the Founding Elders with Graça, the air was filled with the most magical singing as the Ulusaba staff spontaneously gathered to celebrate his presence. Everyone can keep his spirit alive and spread his unique vision of leadership through wisdom and love, rather than politics and personal agendas. Virgin Unite is working with partners like the B Team to help business leaders embrace Madiba’s vision for a new type of leadership. 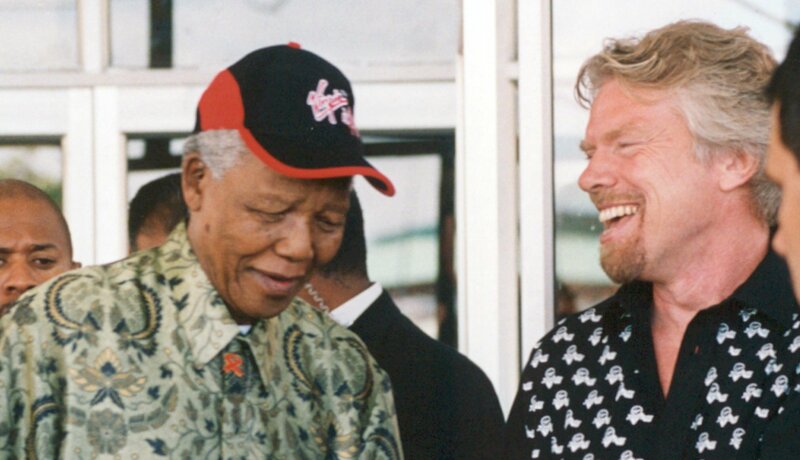 Share your stories about Madiba as a great leader and join us in this movement at virginunite.com. You can also keep Madiba’s memory alive by supporting his foundation nelsonmandela.org and his wife’s wonderful work supporting female leaders across Africa at facebook.com/gracamacheltrust. As President Zuma said: "He brought us together, and it is together we will bid him farwell." 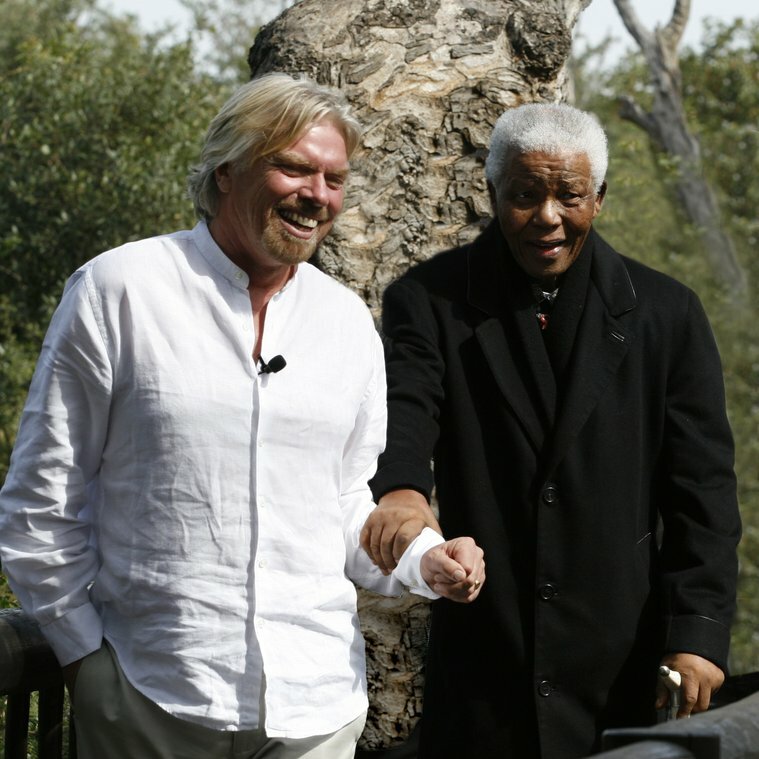 Madiba, thanks for your leadership, inspiration, friendship and the joy you brought into our lives. You will be greatly missed.